The Targa Time Trial is a newly introduced option that allow any road registered vehicle the opportunity to drive the same iconic roads as Targa Competition and Targa Tour. This is not a speed event, but rather an exercise in precise driving and time-keeping to maintain a set average speed through all closed stages. The Targa Competition is the passport to driving your competition car (or rent one of our competition vehicles) through gorgeous, technically challenging Kiwi roads, testing your driving capability and your service crews tenacity, through the most beautiful scenery of any Targa in the world. The Targa Tour is for those who want to enjoy their non-competition vehicles on the same stunning roads. You will be able to drive your car in a way not offered anywhere else on the planet, with world class instructors and world class food as well. In New Zealand and have a car? If you’re in New Zealand and you already have a car to use for either the competition or the tour, you’re almost set to have the time of your life. In New Zealand and don't have a car? If you’re in New Zealand and you don’t have a car, that’s no problem, we’ve got lease car options for you to help you enjoy the best roads in New Zealand. Not in New Zealand and have a car? We can arrange the shipping of your car to New Zealand so you can enjoy our world famous roads and see for yourself why we call this the Ultimate Road Race. Not in New Zealand and don't have a car? We have lots of customers who come to New Zealand and use our fantastic lease cars. From mild to wild, we have a car that’ll suit your driving style. The annual calendar of events differs from year to year, however there is typically a weekend event in March and May and the main event in October. Expect to be up 6:00am in order to get breakfast in, perform your pre-race inspections, get your car warmed up, check over the road book, and be lined up at the starting line. Your morning will be filled with competition and touring stages, 1 or 2 short service stops, and then lunch (the costs of which are included in your Targa fee for you and your co-driver). After lunch, your afternoon will again be full of competition and tour stages. Targa New Zealand, the planet’s Ultimate Road Race, is run like clockwork. You will either be touring or racing for the entire day, with just a few brief moments to catch you breath before the start of each exhilarating stage. Stage distances vary, with an average distance of 25km per stage. Your body, mind and car will be tested. For most, simply completing the Targa New Zealand – much like the original Targa Florio – is a success. Drivers rely heavily on their co-drivers/navigators. Navigators are either a good friend, a professional co-driver, a partner or can be sourced for you by Targa New Zealand. After your final stage, you will tour to a local community car wash. From there you’ll typically head back to parc ferme. If there are repairs needed to your vehicle that your service crew wasn’t able to sort out during any of the service stops, now is your chance to address them. If your vehicle is good to go, and you’ve rotated your tires, checked your brakes, looked over your fluids and cleaned glass, etc. then you can start on your homework. There is not a formal planned evening event for most competition nights, so dinner is up to you. We recommend driver and co-driver go over the next days stages, and agree the language to use to describe the corners and approaches. There is always someone who is willing to help, give advice and join you and your crew for dinner and a drink. Expect your day to be completely chocka, with no time for anything else other than to eat, breathe and sleep Targa New Zealand. After competing in Targa New Zealand, you won’t be the same person – it’s that great an event, so be warned! 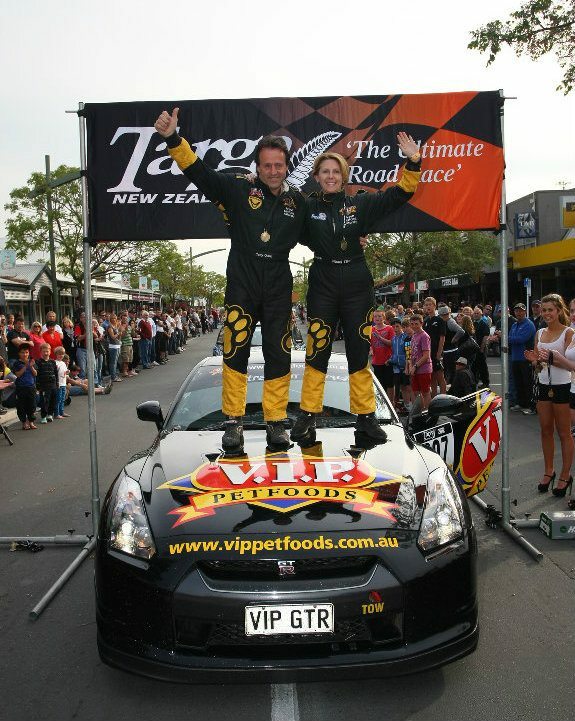 It’s an experience for you, your crew and your supporter’s – that’s what makes Targa New Zealand The Ultimate Road Race!! We couldn’t put our events on without the ongoing support of our sponsors. Support Targa and our events by supporting our fantastic sponsors.